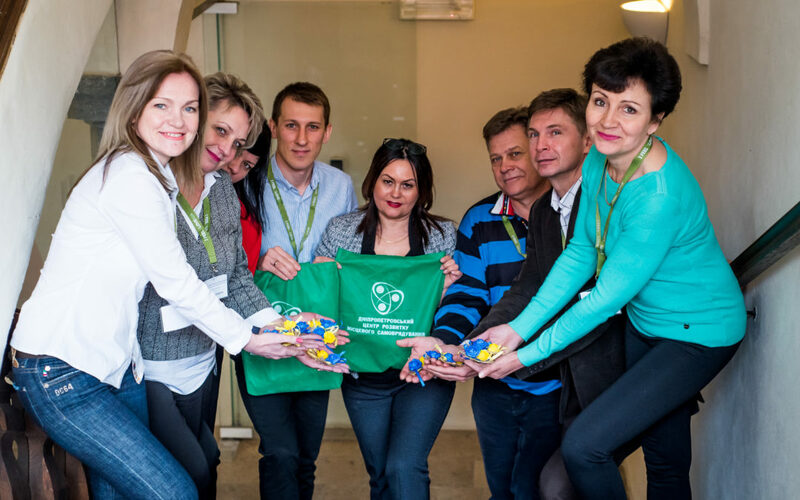 U-LEAD with Europe: Ukraine – Local Empowerment, Accountability and Development Programme 4th international study visit that Slovenia is hosting began on Monday, 25th of March at Jable castle. There are currently 18 public officials from Ukraine taking part in the fourth study visit from three Ukrainian regions: Dnipropetrovsk, Volyn and Zhytomyr. The topic of the visit is waste management and the visit is a part of the project “Upgrading Municipal Waste Management Services”, which helps key actors of 36 selected amalgamated hromadas in the mentioned Ukrainian regions to implement green approaches in the waste management sector. Participants began their visit with an introduction day at Jable Castle, where they were welcomed by CEP Executive Director Ms Katja Geršak, Ms Andreja Purkart Martinez from the Ministry of Foreign Affairs and Mr Andrii Borodenkov, First Secretary from the Embassy of Ukraine in Slovenia. First day at Jable castle kicked-off with an activity organized by the moderator of the visit, Ms Meliha Muherina and a lecture on the topic of waste management in Slovenia by Dr Lucija Jurić Soršak from the Ministry for Environment and Spatial Planning , a lecture on EU approach to waste management and extended producer responsibility by Mag Radovan Tavzes, former director general of the directorate for environment. 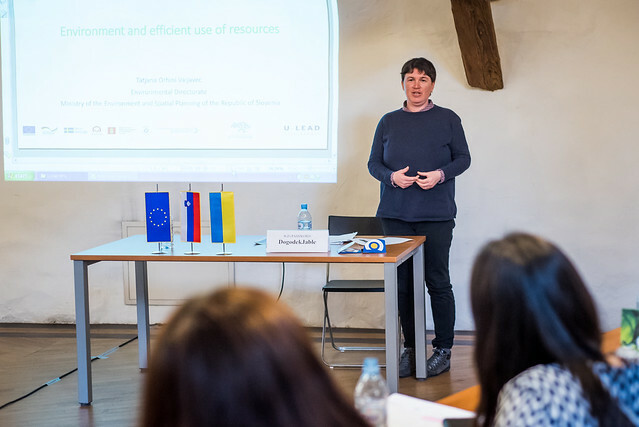 Ms Tatjana Orhini-Valjavec then led an active lecture on efficient use of resources and circular economy. In the following days, the participants will learn more about the role of NGOs in efficient waste management and the importance of communication between the community and the municipality. They will also be able to experience Slovenian waste management in practice, as they will visit Snaga Ljubljana, Kemis Vrhnika, RCERO Celje, Toplarna Celje and Kostak Krško. The participants will also meet with the Mayor of Logatec and the Mayor of Krško. The visit is taking place in the framework of the multi-donor action U-LEAD established by the European Union and its Member States Denmark, Estonia, Germany, Poland and Sweden. It is aimed to contribute to the establishment of multilevel governance that is transparent, accountable and responsive to the needs of the population of Ukraine. U-LEAD with Europe is supporting the Ukrainian Government, represented by the Ministry of Regional Development, Construction, Housing and Communal Services of Ukraine (MinRegion) as a key political partner, in the coordination and implementation of the decentralisation and regional policy reforms. The Programme carries out demand-driven and targeted trainings for officials at the national, regional and local level.